The World Cup is now over and I am glad. Finally, we can all focus on much more important things that are going on in the world right now, namely the Israel-Palestine conflict. It’s ironic how people go and watch extremely popular movies like The Hunger Games and, cinematic experience aside, they don’t often realize that this type of film is nothing but a metaphor for our real lives. We are pumped with entertainment from all ends, so that we don’t focus our attention on what really matters. We are so distracted (with the newest gadget release or the finals of the World Cup, for example) that much more important issues fall into the shadows in the big scheme of things. 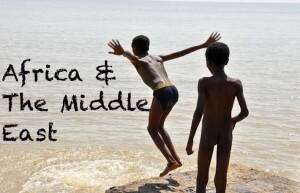 Backpack ME is a travel blog, not a political one, and by norm we do not like to write about places we haven’t been to yet. But this time I’ve got to make an exception. I have been sitting around, watching and reading about what’s going on during the past week in Israel and Gaza. And I have been feeling quite powerless. What can I do in the distance to stop this madness? As an individual, I am truly limited. But then it occurred to me that there are thousands of people who read this blog and, if nothing else, we could all discuss the current state of affairs. It won’t change things, but information and open debate are always part of the healthy path leading towards resolving issues. During our travels around the world we have come across plenty of Israeli travelers. Many on gap years escaping military service, others have fleed the country and settled in India, for example, because they wish to not be involved with what their country is doing. This shouldn’t have to be the fate of anyone, it is not fair. But how many Palestinians have we met? The only ones were those colleagues of mine working in Dubai, whose parents left Palestine years ago, escaping a life of oppression and looking to bring up their kids in an environment of peace and opportunity. That is not what is going on in their home-land right now. While things are unfair for both sides (we are talking about the individuals, not the governments, not the politics involved) Israelis are certainly left with more options than Palestinians. That’s exactly what makes this so-called “war” unfair and uneven. When a country with many more resources (economic and military) attacks another with little possibility of fighting back, then this is not a war. It’s a massacre. Imagine that you, right now, are at home or at work reading this blog post, sipping a cup of tea, and all of a sudden a bomb drops on top of the building you are inside. Even worse: it doesn’t kill you, but it kills every one around you. Every one you have ever loved, destroying your home, your shelter or any sense of security you could have had. And all you did was sit around reading a blog… Imagine for a second that all of this happened to you during Christmas Eve, Thanks-Giving or any other special day… the holy month of Ramadan is taking place right now for Muslims and this just adds a whole new layer of cruelty to the situation. Well, that’s the majority of Palestinians for you all. They want nothing but to live a regular life, have a home, safety, raise a family and look forward to better days. And so do Israelis, of course. Or anyone else in a conflict or non conflict zone in any corner of the world. We could be talking politics and religion all day in here but, for me, nothing justifies blind hatred. Especially when, at the end of the day, those really dealing the cards care about money and power. It’s more about the greed than it is about beliefs. But, in the meantime, it saddens me to see such young people so totally desensitized to the point of tweeting about death and extermination as if commenting on the latest hair style of Justin Bieber. Why this blind hatred towards Arabs? What makes them less human to the eyes of some people? I don’t believe in God, and I generally dislike religion. And it baffles me that religious people involved in this conflict will use terms such as “holy war” or “god will be on our side…” There is nothing holy about a war. For either side. There is nothing holy about hatred or murder. There is nothing holy in any of what’s going on. No matter what side you choose to support in this conflict, based on historical reasons, media brain-washing, or just because your country generally supports either Israel or Palestine, there are certain types of behaviors that shouldn’t be justified. How can we live in a world where we have all become so desensitized? Particularly those in the front row?! I have come to observe something traveling and meeting people all over the place. More often than not, we take for granted the place we were born in and the personal rights that this may involve. People from western countries, for instance, often brag about how they get visa on arrival in so many parts of the world. Others, that were less lucky, are used to spending time and money arranging visas. The place you were born in is RANDOM. even somewhere you truly despise right now! Rich or poor. Healthy or unhealthy. Privileged or not. In the heart of a religious family or not. These are things YOU have not worked towards, you have not earned any of them (neither good, nor bad). It’s coincidence, it’s life. That is why we should never feel that something is our right just because we were born in a certain place. We are not entitled to anything just because we happened to be born in a certain place. Because we could have been born anywhere else in the world. So try putting yourself in someone else’s shoes and, only then, after you’ve tried to look at both sides of the story, make your own conclusions. A few years ago, when we were living in Dubai, a friend of ours came over to our house and brought along a friend who was in town. We were discussing politics and briefly talking about the war in Iraq. In one of his unfortunate comments, this fellow mentioned that “yes, more Iraqi people have died as compared to US troops, but it’s not like they’re the same”. Basically, his message meant that the lives of people in Iraq did not have the same value as the lives of USA soldiers. Things heated up quickly, but it was impossible to make him understand that all lives, no matter the background, race, beliefs or geographical location, are exactly the same. I think it’s this kind of mindset that makes conflicts such as the current one between Israel and Palestine “impossible” to resolve. It is our duty to look back and learn from History. Have we not learnt any lessons from the Holocaust in Europe or the Apartheid in South Africa? How can our memories be that short? Now you may be wondering: “What can I do as an individual, how can I contribute towards peace?” Firstly, get informed and have your own opinion in the matter. Don’t let the “official” opinion of your country drive your personal views. Get online and talk about the conflict. Use your social media profiles to express a desire for peace. We have more resources in our hands than we’ve ever had before. Let’s use them! 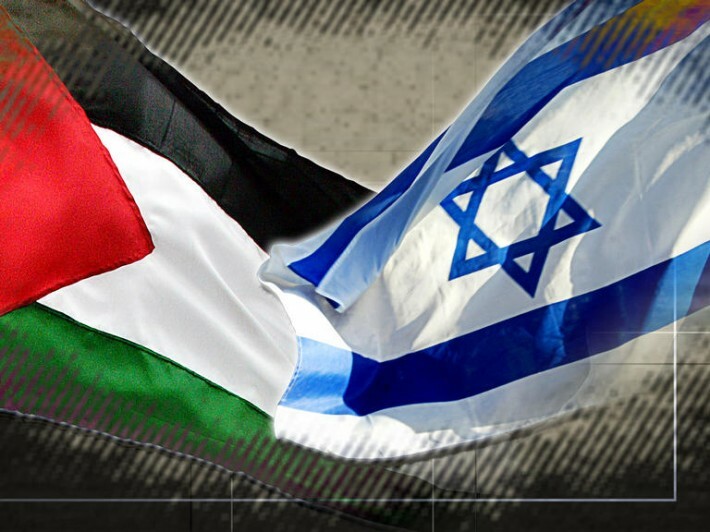 Participate in online forums and talk with people who are in Israel and Palestine right now. You may want to have a look at Reddit Israel and Reddit Palestine, which I am personally finding very interesting lately. Join protests in your city even. Specially if the government of your country supports something you are not in agreement with – silence is consent, let’s make our voices heard within our own capabilities. I would like to travel to Israel one day. It is a place with an extremely interesting history and I know I wouldn’t spend a dull moment in there. But I don’t predict this will happen any time soon. I don’t like the idea of spending money there, fueling the economy of a country that commits such atrocities year after year, and keeps on getting away with it. Have you traveled to Israel or Palestine? Have you ever thought of going there? “There is nothing holy about a war.” 100% true. War is disgusting. & those tweets are shameful and disturbing. The thing of mixing war and God is what puzzles me the most! Proud of you for shedding light on this. Now I have some research to do to learn more. I’ve been reading a lot about this lately and there is never ending info out there. Good luck going through all of it! It might take some time to even begin to understand the conflict and the general history of this area, but it’s time well spent for the sake of understanding what’s going on in our world. I couldn’t agree more with you, for me there is nothing as a “Holy War” and being completely against violence I think nothing can justify a conflicts and so much death and pain. We still haven’t been to neither Israel or Palestine and I’m not sure how we feel about going there one day. Nothing justifies so much death and pain indeed. NOTHING. And certainly not the “powers from above”. Thankyou for sharing your thoughts on this Zara – ‘that all lives, no matter the background, race, beliefs or geographical location, are exactly the same.’ If only everyone truly understood this, the world would be a much nicer place. People take too much pride in their country, their region or city even… as if that made us all that different. Technicalities, I’d say. We could have really been born anywhere. I won’t visit or promote Israel for the same reasons. Thanks for writing about this so clearly. Thanks for stating your opinion openly too, Talon! I have been following your blog for almost a year now and trust me I have got it bookmarked. But it is disappointing to note that you have chosen to discuss a polotical topic on this widely acclaimed travel blog of yours. In my opinion, it would have been better had you shared your opinion via social media like Facebook or maybe concisely via twitter. Thought I will continue to read your blog but it has been a let down that you have chosen to write on this geo-political issue here. I don’t know what you find so disappointing about this. This is a personal blog, it is only normal that I use it to showcase personal opinions. Furthermore, as you may understand from my text above, the idea is not to impose my views on anyone else, but to open a space for discussion and healthy debate here with other travelers. As a traveler and blogger, I bring destinations closer to people around the world. If I go to places and tell the world how awesome they are, how cool and pretty everything might be, I would also do the same when things are not as perfect. This is a realistic blog, about places all over the world. Yes, we focus on travel, but political situations go hand in hand. Backpack ME is never going to be all about rainbows and unicorns… When things are pretty, we say so. And when they aren’t, we say it too. But none of it is the ultimate truth – it’s a blog, it’s a personal opinion. Well written article, to the point and good read. I also think that it’s the right education which shapes your personality and clearly the teens in Israel are given wrong accounts of history, that is why they are unable to differentiate between right and wrong. The Israelis want to do the same with Arabs what the Nazi’s did with them (which was horrible), so please learns from your own history. It’s a recurring theme all over the world, no matter what country: we just can’t seem to learn from our history. People only look at the very, very recent past and it is as if the rest doesn’t count as much because “it is history”. If we had better historic memory, probably half of the horrible things that happen in the world today wouldn’t even take place! Agree with all of the comments here, how those kids have become so removed from the past is simply mind blowing. All over the world there are museums that reflect Jewish history, yet they seem completely unaware. Thank you for putting this out there as we have also toyed with travel to Israel, but have always pushed it to the side in favour of supporting other spots for the time being. Thanks for your comment Bell. As someone who grew up in a country that colonized many other countries all over the world in the past I can tell you that history is not always taught in the most straight forward way (no matter how many resources are out there). For example, in Portugal, we always refer to the discoveries time as glorious, as if we were the most courageous people on earth who went on “civilizing” different territories around the world. After traveling to many of those former colonies, I can tell you for sure that the history is understand SO DIFFERENTLY on the other side. So I guess something similar happens with some of these kids in Israel: being deep on the inside, they are only fed part of the whole story. The whole point of traveling, especially to a country in conflict, is to see thing with your own eyes and not through the brokerage of the media, so posting this on your blog is very unprofessional. You are misinforming your readers while presenting all Israelis as evil doers. I for one am not objective because I am Israeli, but like the majority of Israeli’s, my beliefs are very different from what you have presented. I have been studying about the conflict from all points of view in Uni for several years. As an individual you can contribute towards peace if you will study and explore this conflict without bias. I totally agree! Actually after reading this I wonder why we should travel at all if you can sit far away from a place you have never been to and know little about, and judge? And not only judge, but write articles. It looks to me that your blog turned a page today, it changed today from a travel blog into a political blog. Regardless of whether or not I agree with your views, I believe that writings like this are damaging to the hundreds of travel bloggers out there discovering the world and sharing experiences and cultures. Travel and politics will ALWAYS go hand in hand. Backpack ME was never a travel blog focusing on rosy subjects only. When things are lovely, they will be mentioned as such. When they are negative, they shall not be ignored either. And how does this damage other travel bloggers out there exactly? To each their own!.. People read your blog because they want to hear what you have seen with your own eyes. The whole reason people follow your blog is because your experience, but this post isn’t about your personal experience and you have no knowledge about the situation in Israel. By writing this post you are using the “power” you gained as a travel blogger to spread your misinformed opinion to your readers. No one said your blog should be all about rosy subjects- If your blog was called “Zara’s thoughts about the world” I wouldn’t have any problem with anything you write. Wow, what an ad hominem attack. Is that all you have stein? I asked you in a previous comment what your opinion about the conflict was and instead of sharing that you just come about and belittle other people’s opinions and call them uninformed. I guess you’re just part of the Israeli propaganda army sitting in Israeli universities tasked with insulting anyone who dares to speak on this subject. In that case, I must say you’re doing a great job! Keep it up but know that the world is watching. In this day and age there is enough information out there to form an informed opinion, no matter what the media or your propaganda machine tries to spread. Stein, thanks for posting here. Since you are Israeli, why don’t you tell us how you view this whole situation? It is true that Israel made its share of mistakes during this conflict but I still don’t think It should give the Hammas open boarders since they are extremely violent. ( Egypt shares a boarder with Gaza and they too refuse to open the boarder to Hammas). Theoretically I believe Israel should negotiate only with PLO, but regarding this conflict with Hammas, I believe that Israel is right to fight this. Yes it’s an unequal war since Israel is a state and Hammas is a terror organization. Should I apologize for the fact that Israel bought the Iron dome? It’s important to remember that Israel is not fighting the Palestinian authority – it is fighting Hammas. I grew up in a democratic state were women and men are equal, with liberal values and in belief that every person deserves equal rights –I wouldn’t want to live in Israel if these were not the values taught here. The reason why I responded on this blog post is that I believe it contradicts the Purpose of travel blogs, because Zara never visited Israel nor does she look at the conflict from an objective point of view. Nicky Larkin, an Irish filmmaker visited Israel and filmed a movie called 40 shades of grey (not 50 ) if you want you can check it out. This is a movie made by an outsider and is the impression you would get out of talks to Israelis and Palestinians. (the movie is about the general conflict in Israel and not this particular one). Stein, thanks for responding here. I will definitely look up that movie and watch it. I must clarify something for you though. Zara and I can look at this conflict pretty objectively. Neither of us is muslim or jewish, neither of us know any Palestinians or Israeli friends. Objectivity is something we can afford. I’m happy that you shared your views and to be honest, regardless of the side, what we are most against is the killing of innocents. Enough of that has already happened and continues to happen. The stronger side always has the power to make it worse or to make it better. I’ll just leave it at that. I just saw your second comment to me (after writing my opinion)… I find it very derogatory. First of all, I didn’t insult anyone, I wasn’t trying to start a political debate – just to comment my opinion that because there is so much information out there I find this post out of place it belongs to a political blog or a personal opinion blog. There is no army in the University of Jerusalem. The fact that you think that the Israeli army is sitting in universities is kind of funny and sad at the same time. I am far from insulting anyone who ‘dares to speak of the subject’ and I welcome a discussion about this subject in the right forum. You sounded genuinely interested in my opinion so I responded; I must say that after I read your response to me I am very disappointed from your insult. The use of phrases like “propaganda machine” (even though I didn’t write anything about the conflict itself) doesn’t sound to me like you are very interested in my honest opinion because it sounds like you already have you own very strong opinion about Israel. I never said the Israeli army was sitting in Israeli universities. I was genuinely interested in your opinion and that is why I had asked for it, but beginning to write your opinion by calling the other person ‘ignorant’ or saying that they know nothing about the situation is rather derogatory – wouldn’t you agree? This is all I was trying to bring to your attention. There is no need to call someone uninformed – just informing them of what you know is more than enough. There is a lot of information out there for anyone to see and absorb. This is as good a place as any other to have a discussion on it. I do not mean to represent all Israelis as evil doers. In fact, if you read my text above carefully, I do mention that what both parties want (the individuals in both parties, not their governments) is to have a regular home. That is peace, a home, opportunities to raise their families in a decent environment. And that goes for both. But that doesn’t mean that the situation right now is even for both parts – it’s easy to understand, even in the distance, that is it not. And as a blogger, I have all the right in the world to comment on it, particularly if it is on my own personal blog. This is not the CNN or BCC. I am not trying to convert anyone. All I did is state my personal views and ask other readers to do so, for the sake of debate or exchanging views. Like you I don’t like getting political, but I fail to see why Hamas feels it has the right to shell innocent people for days on end, or accept a cease-fire and then blatantly ignore it. Sorry, but there’s no excuse for that. First off, I have not only been to Israel but I also know and have talked to people there. Mainstream media blatantly skew the true situation. With the exception of a few cases everyone gets along well. The “few cases” are just like the “few bigots” we have in the US that contribute to ongoing racial tension. Frankly, I have watched Israel show a lot more restraint that I would have, and I don’t think other countries would put up with that if they were in a similar position. Imagine the reaction Washington would have if Native American tribes were to begin shelling the areas around their reservations. Restraint? I think not. I see more hatred coming from Gaza than from Israel, and after reading Netanyahu’s speech yesterday (https://www.codewit.com/north-america/21624-breaking-news-netanyahu-s-speech-to-hamas) I wish others would take the time to consider both sides before blindly swallowing all the arab-supported media propaganda that’s poisoning the news. Linda, I’m just curious to understand. When you say that people get along in general – are you referring to the cases where people don’t object to the fact that they have to live in a walled-in ghetto where their food, water, electricity, transport, air, etc. is controlled by the country around them? Or the fact that the little land they have left is continuously eroded by new settlements? I understand that there’s a lot of media propaganda and you’re right about that but one only needs to look at the constantly expanding map of Israel to get a decent picture of what’s going on here. No media necessary. You mention “all the arab-supported media” – we probably do not live in the same world, Linda. I see much more pro-Israel (pro-Jew) media out there, particularly in the USA. We all know how the USA and Western Countries do not love Arabs (or Muslims) in general. As biased as this might be, it is true. So I must be really missing something here.. I don’t know what country you are from, Ian. But it is true: the entire world should have enough capability to put pressure to end this madness. But they won’t ever put equal pressure on both sides because their interests (political, financial..) do not lay equally on both sides. Just to answer your questions, I’d love to visit Israel one day. But like you, I don’t want to ‘fuel’ the economy of Israel. True, our tourist money won’t make a damn difference, Sofian. But it is about the principle indeed! Zara I’m highly disappointed not only with the article itself but as well with You even writing it. There is nothing more misleading for people around the world than reading post written by people who obviously have no idea about complexity of this conflict. I live in Israel. It is an amazing country and actually everyone should come and visit. Same as I think everyone should visit Palestine Authority and Gaza if they get a chance. I did. You must understand that every conflict have 2 sides. You must understand that Israel do not invade. Israel is at the state of war. And war is war, doesn’t matter if countries are small, big, equal in equipment or not! If they attack each other they are at the state of war, that is just a dictionary definition. There are fanatics, terrorists and crazy people on both sides of this fence. That is why this conflict is the most difficult conflict in the world to resolve. There is no only bad Israeli and good Palestinians. But as well there is no only bad Palestinians and good Israeli. Non-Jew Polish Girl who loves traveling in Middle East and Arabic countries, who loves Iran and Israel equally. And the last comment from me. I just hate when bloggers write such kind of articles – obvious stunts to get a lot of clicks by being controversial in the moment of subject trending! And obviously great timing, as Israel started ground offensive few hours ago! I completely agree with you Marysia. War is war. Just because Gaza is smaller and less equipped doesn’t mean they can fire hundreds/thousands of rockets at Israel and expect no retaliation. 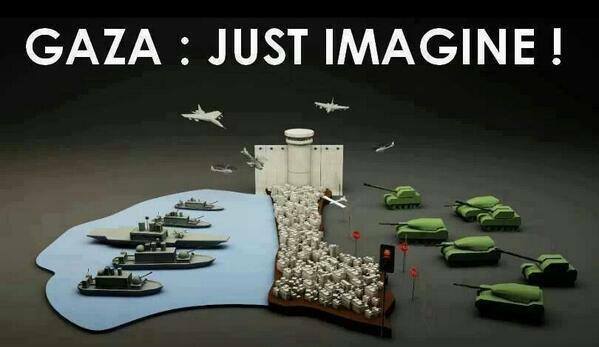 The leaders of Gaza are given millions of dollars to aid them, and all it does is line their pockets. 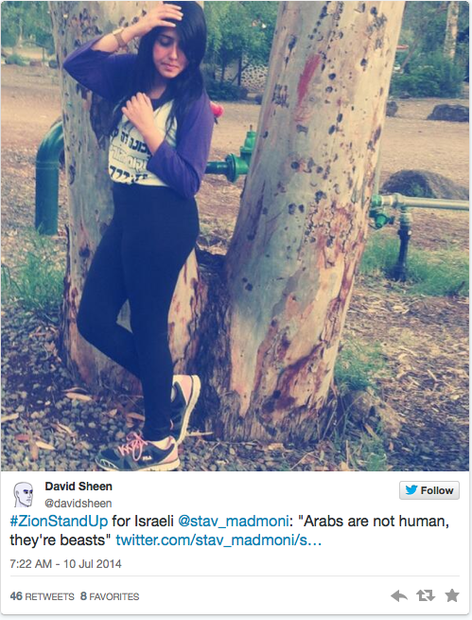 Just as not all Muslims should be classified as terrorists, neither should the radical views of some young, ignorant people like the ones shown above mark all Israelis as insensitive and hateful. I am praying for the people of Gaza right now, but can’t help but notice that so many atrocities occurring at the hands of the Hamas are being ignored. Putting your innocent civilians in the line of fire while you hide underground is cowardly. Gaza is lined from one end of the strip to the other with underground tunnels, tunnels that could be opened up to the civilians of Gaza to minimize casualties. So why don’t they? Zara, it’s okay to post your opinion. But you’re telling us to look more into the entire conflict, and it doesn’t really feel like you did that yourself. You’re right Sofie. 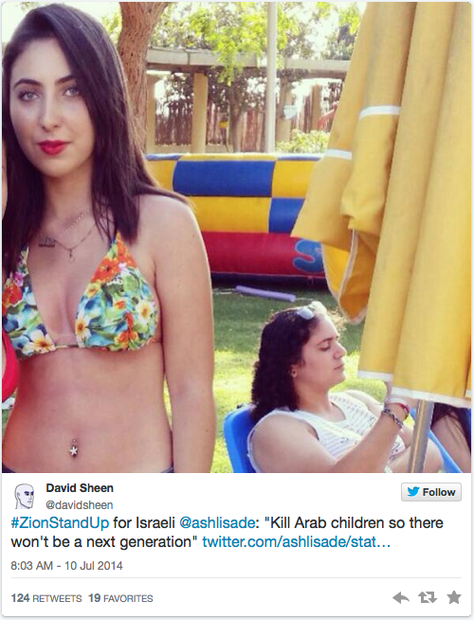 Israel should just go all out nuclear and bomb Gaza to oblivion. It would be a lot cleaner. After all – war is war. Marysia, this conflict is complex – but it’s complex for you as well. Especially if you live in Israel. I think we can all comment on it without resorting to calling each other ignorant. Ashray, You and Zara seems to have your mind made long time ago. It is just a shame it is so one sided. You seems to underline me living in Israel had some kind of influence on my opinion about this conflict. So let me tell you, it does not. I choose to live in Israel cos I love this country but I do not think either say that Israel is All Saints here. I could point out many things that Israel should be blamed for and did wrong in this conflict but after reading this article I must call you on lack of basic knowledge and understanding of this conflict. And I didn’t call anybody ignorant, but I actually should. Taking a stand on a conflict which not only you do not understand but neither saw with your own eyes is a very long run and you must expect not making it to the finish line in the discussion. Pulling argument of nuclear bomb is like a person who accepts defeat with a bad grace. Israel never threatened anybody and any country with it and never will. They do not even officially admit having one. We all know they do, but they use it strictly as scarecrow. Even using this argument reveal how little you know about political situation in this region. Just one more line. I think it is highly unprofessional writing about such issues just for controversiality of it and for not making basic research about the conflict. As well I think that being travellers and travel bloggers you should be first people to stay away from all prejustices! Aren’t we the one who tell people not to listen to the media, not to believe all the terrible articles in newspapers, not to listen to other travellers even, just to go and see for themselves? Shouldn’t actually travel and much better understanding of the world we get from it meant to destroy walls not to build them! I’m going for a wedding to Poland now and will travel a bit around Europe but how about you 2 come to Israel and let me show you around what a great country and what a great nation it is. We will go to Palestinian Authority as well and you will be able to see and talk with people and if you will have your mind unchanged than I will fully respect it and agree to disagree. First off, if all I wanted was clicks on this article, you’d be seeing ads that pay around it. Look around… Not all blogging revolves around making money or becoming popular. This blog was created as a outlet to express personal views on the world, as this is what we shall keep on doing. You think living on that side of the world is so awesome. OK – then why don’t you move to the Palestinian side, Gaza itself… and maybe then we can talk again about how everyone just gets along so well and everything is so right. You justify everything by saying “war is war” – for me, this is no excuse for nothing. But I guess some people are just more comfortable with the concept of war than others. Zara you do not have to tell me that not all blogging is about money or becoming popular. I myself am one of those bloggers who blogs for pure fun of it. I do not monetize my blog and often goes months without writing. I just said that I see your post as trying too hard for being controversial. And I love your blog in general and maybe that is why this post was so disappointing to me. I really do not understand why from all the conflicts in the world you have chosen to write your opinion about one you have no idea about and especially at such a problematic time. If you are so concerned about Palestinians why this post now not last year or next year…. it is a trending subject at the moment indeed, it is obvious that now people Google this keywords much more. And I do not mind bloggers touching current problems but not the ones you have no idea about. I know it is good to have opinions and stands on subjects but sometimes it is better just not to write anything. I will not live in Gaza, cos I do not want to be kidnapped by Hamas, once Hamas is done I would be more than happy, most beautiful beaches in this region are actually over there. 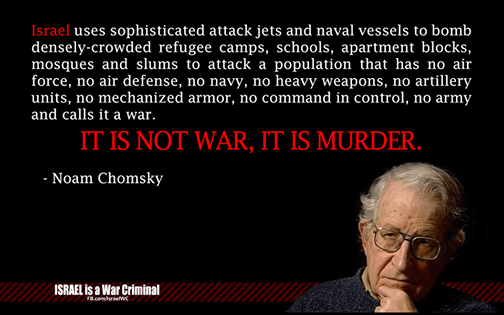 And I do not justify anything with saying ‘war is war’. Not sure you read my previous comments or you just read what you wanted from them but I do not support Israel in this conflict but I as well do not support being one sided and kind of blind for blame of both parts. I do not know anybody who is comfortable with concept of war, except some crazy fanatics. And I wouldn’t be surprised if you would be Israeli or Palestinians but even majority of them have more distance to this whole situation and politics. Why exception only this time?????? So you guys also have not visited those places where humanity also in crisis. But you choose carefully this ongoing conflict to pursue some hidden agenda or personal interest (it can be any). Personally I think to gain increase traffic or popularity for your website. It would be nicer if you mentioned these killing in your blog but then it will be less traffic for your website. But at least we can think about unbiased writing. Really? What did the Palestinians expect when they used the same “Innocent women and children” as shields for their weapons cache, terror hideouts and rocket launcher sites ? But wait, lets investigate this claim a little more. Not ALL of these woman and children are innocent. They train to shoot at ages as early as 7 (the moment they are physically grown up enough to carry a gun and pull its trigger). Their mothers proudly promote this jihad. In fact an ex-hamas leader told the world that an average Palestinian produces four children and at least one of them is solely for jihad. The same kid who’s being showcased to the world as a victim of ‘Israel’s brutality’ would’ve been proudly hailed as a hero in the Muslim world had the kid killed himself in a suicide bombing. So what’re they sad about really ? that their kid died without killing any non-Muslim ? Want to know how they train terrorists from childhood ? There’re tonnes of videos and links documenting this jihad by ‘innocence’ all over the world. 2) Israel distributed pamphlets and announced in advance that there shall be an air strike on weapons caches and militant hideouts and that the civilians are adviced to go to bunkers failing which they can suffer heavy damage to life. Yet, instead of protecting their people, Palestinians put ‘innocent civilians’ atop those ammo depots.
. How is it Isarel’s fault if it attacks these weapon depots and rocket launcher sites ? 4) They say Israel has a large hi-tech army and Palestinians are mostly unarmed. Well what can you say, first it’s a lie. Hamas is armed to teeth with Syrian made rockets that’s got enough range to pierce through every home in Israel. Secondly, since when it has become a crime to wear a strong guard against criminals and thugs. Should Israel dump all its weapons in the sea and beg Hamas not to kill any Jews ? that will solve everything, right ? 5) Above all, a war is a two sided affair but the bigger question is who initiates it. Who draws the first blood ? Records reveal that the war has always been started by Palestine on behest of it’s Muslim brotherhood. They’ve fired over 600 rockets in four days, Israelis are hiding in bunkers for the fear of their lives. 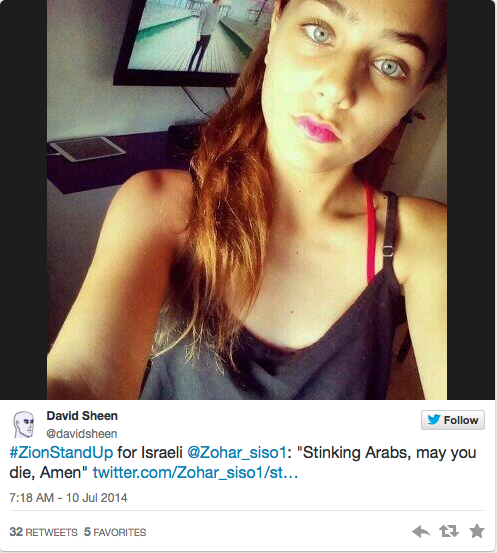 What gives anyone the right to preach Israel whether or not it should retaliate? So now the question is, are we going to be blinded by media propaganda or are we going to look at facts and use our own judgement to see things in a better light ? I am not here for any war. Just sharing some thought with everybody. I appreciate you sharing your thoughts and links for myself and others here to read further. I just don’t see how me posting this article here is having a “hidden agenda” of some sorts and you taking the time to reply to it in such detail is just a regular thing to do. We all have the right to express ourselves. And it should continue like that! I’ve travelled all over the world in the last 30 years, and the key attitude I have always retained is that I am a guest from a different culture and wish to enjoy the good things about my host country, and try to understand the less good things. Everywhere and everyone has strengths and shortcomings; this whole is what defines us as individuals and nations. I will be visiting Israel next month because I have never been there and wish to visit a culturally rich and interesting nation and be close to the Israeli people in their homeland. I have met and befriended many on my travels; I invariably find nations and people are vastly different (and always gentler and more human) in real life and location, even in those places where the media generated perceptions are different. Politicians and media work to their own agenda. Human beings from all races, nations and cultures act according to their own circumstances and aspirations – and it is interesting to realize that most individual aspirations across the world are very similar – home, security, love, a happy family and good friends. I look forward to visiting Israel, where I’m sure my positive expectations will be met. “Politicians and media work to their own agenda.” – I couldn’t agree more, Bob. That is why in the post above I mentioned that governments and individuals are different. Individuals across the world want the same basic things, no matter what their religion or cultural background is. Still, some readers who left comments above understand what I am putting everyone on the same package, which is not the case. Still, I believe that individuals are responsible for their government’s actions, particularly when things have been going on for years and years. Isn’t that what democracy is all about?! This is a great post. I’ve always had an interest in every part of the world, so of course, I’d love to visit the “Holy Land”. However, I’m with you – I wouldn’t feel good about driving any part of the economy. What’s happening there is beyond tragic. The recent story of the four little boys who died on the beach just solidified it (as if it needs to be solidified). This needs to stop. I wouldn’t travel to the region at all right now. I wouldn’t feel safe doing it, and this is coming from a very adventurous person who did at one point think about doing investigative journalism/being sent there for work. I would feel even more uncomfortable if a family member or friend of mine went. You are right: independently of wanting to spend money in Israel right now, I doubt that it is safe, so that is obviously another concern to keep in mind. Thanks for your comment, Vlad! I think it is absolutely our right as travelers (and even bloggers) to not want to go to certain places and be vocal about it. It doesn’t mean that we are against everyone over there, of course, but it is a way of making a point. Well, you have ruffled some feathers, haven’t you? I, too travel and write about it. One of the things that travel has taught me is to value our commonalities – the need for food and shelter, to love and be loved – and be curious about our differences. And to grieve when those differences lead to conflict such as this. Most wars become legitimised to those fighting them by dehumanising those they fight. That doesn’t make them right. In fact it makes it all the more important that travel writers carry on insisting that we share a common humanity in a beautiful world, and must treasure both. I couldn’t agree more! At the end of the day, we are all quite similar no matter where in the world we were born/raised. We all have the same basic needs and long to love and be loved. But it’s sad that we do tend to focus more on our differences as compared to our similarities. I totally agree with you guys, in fact, I’ve just written a post about the conflict in my personal blog. I like that we have the same point of view about the situation going on, this isn’t even a war, it’s a massacre. However, I still have faith in this world and I think that with a change of mind and another one in the way we live life we can still change the world. I would also like to travel to Jerusalem someday and I hope peace would find a place in both Palestine and Israel. We are hoping for that day to come too.. not sure when it’ll happen because things haven’t looked bright for many years.. but the day shall come! It’s good to get a discussion going on the conflict and our role in it as travellers, but I don’t think you’ve done that topic and its history justice here. You mention the Holocaust and how quickly people forget it, but they haven’t. It’s also precisely the mellenia-long anti-Semitism, the pogroms and the wars that Israel’s neighbours have waged that fuel Zionism. Even a link would have sufficed. As outsiders we have the privilege of walking in the shoes of both belligerents. One nation struggles for human rights and dignity (but it doesn’t justify Hamas’s actions and using their own people as pawns and shields), the other for a haven which its neighbours view as land stolen by colonialists (but it doesn’t justify the occupation of land beyond the initial borders, the displacement of civilians from their homes or the lack of punitive action against settlers either). The latest skirmish was sparked by Hamas’s kidnapping of Israeli teenagers, and the perpetrators were feted. One Israeli retaliated and they launch rockets knowing it won’t be taken lying down. Both sides are guilty and they have their share of extremists who want to see the other eradicated, like the social media users you’ve shown, driven by deep seated fears and anger. But there are also people who have opted out of this mess, and others who are still working for peace in spite of the odds, like Tent of Nations, or Professor Dajani, and other people who oppose violence in their capacity. Perhaps we can play a part by highlighting the latter group, and we’re quite likely to meet them. If we can convey human faces and everyday scenes through photos, viewers are less likely to think of the conflict in terms of nameless figures. In my opinion, going there in your own capacity is not tantamount to endorsing the occupation. Yes, the businesses you patronise pay taxes that in part support the oppression, among the many things that taxes pay for, but it’s not on the same level as accepting an invitation from the tourism authority to be part of a PR offensive. War is dehumanising, but a lot of good can still be done through a visit and the articles which you choose to put out on your blog. You can give a face and more to the conflict, even if you’re not a journalist. Interesting, don’t know if I agree with the post topic but you’ll always get heated debate on this subject. One of the most interesting travel books on the matter was the book by Tony Horowitz “Bagdad without a map” written back in 1992. Nothing has changed since then. In fact, nothing much changed in the previous 20 years either. And the comments above are the same blah, blah, blah and finger pointing. Nothing has changed. I always say the Israelis and Palestinians deserve each other. Until they find a peaceful solution I won’t be convinced otherwise. I’m Vietnamese, and my country also experiences a lot of wars. Despite just hearing about wars from my parents and grandparents, I really hate wars and wish all can live in peace. I’ve just booked my flights to Tel Aviv for this Christmas.I used to be thinking something similar about boycotting Israel etc. But things are not black and white, you know. I wish people were basing their views on more than news articles. I read a book by a Polish author Pawel Smolenski ‘Israel juz nie frunie’ (not sure if it was translated to English), written by someone who has been there and bothered to get all possible points of views. I also talked to Israelis and shared a house at some point with a Palestinian refugees who told me how Hammas bombs its own people so it can blame and attack Israel back. Things are complex, both sides do wrong. I read that tourism in Palestine would help so I’m planning to do my best supporting local businesses there.